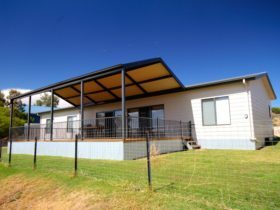 Luxe Tented Eco-Suite accommodation 1 hour from Barossa to the south, Clare to the west and Berri to the east. 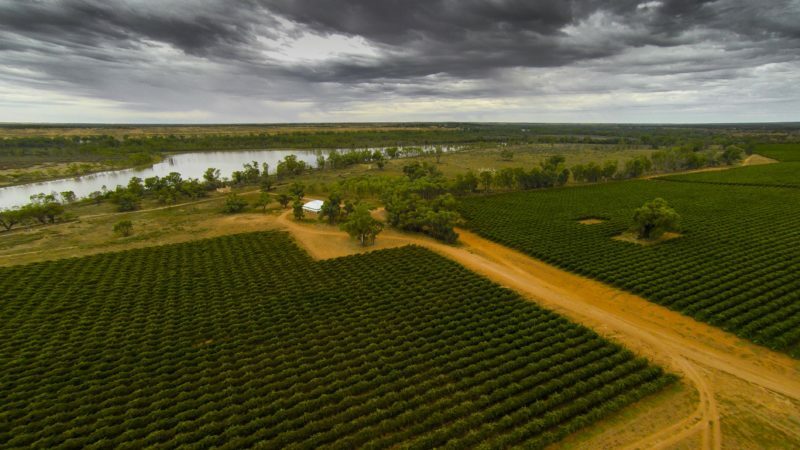 With 1.4km Murray River frontage, and sweeping views over the Scotts Creek wetlands, the working vineyard of over 200 hectares is home to Byrne Vineyards and brands such as Scotts Creek, Byrne, Flavabom, Sidney Wilcox, Glamper, Antiquarian, Devlins Mount, Pairings. 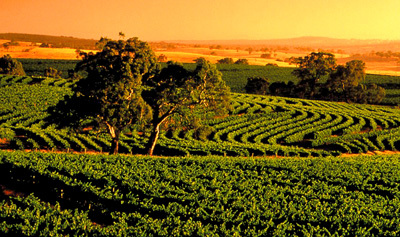 The first stage of our accommodation is an exclusive private hideaway 2 hours drive from Adelaide. 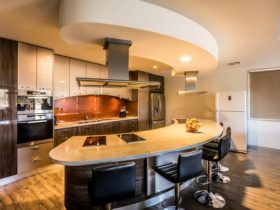 Immerse in our place, sit back and breathe in the clean air and watch the stars at night with a glass of wine in hand. Rare and endangered birds and wildlife thrive here and can be seen during easy walking trails around the private property. 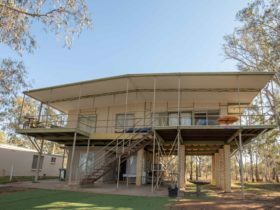 Scotts Creek Retreat : Two luxury appointed Eco-Suites Include: King size ensemble beds (or twin singles), ensuite bathrooms and kitchenettes , BBQ facilities and supplies, air-conditioning, fans, power, Eco-linen and towels supplied. Whole camp to be booked. 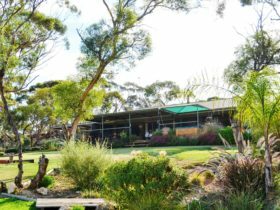 Long term plans will expand the resort and include events and cellar door. 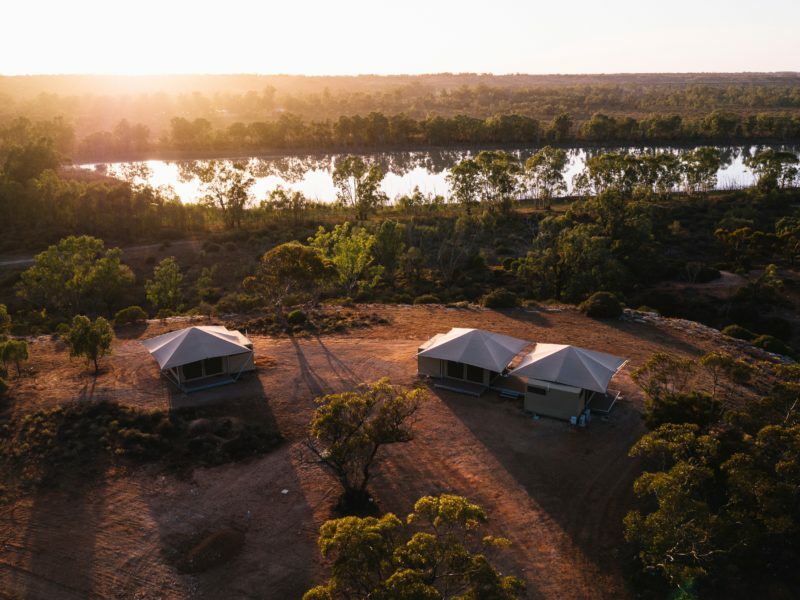 But until then, don’t camp out in a caravan park – come to secluded paradise and experience where the Australian outback meets the majestic River Murray, meets lush vineyards. 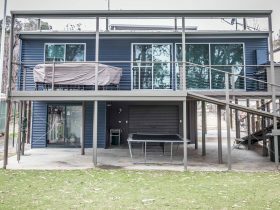 Whole accommodation cluster to be booked. 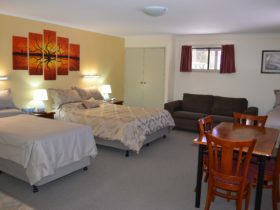 $950 for 1 night – includes sleep up to 5 people. 4 nights $3000 for up to 5 people $150 per person per night.